Whilst researching the Newland family it was noted that the name was originally spelt, Newlyn, leading to the supposition that the family may have come from the Cornish town of that name. How would this have been achieved in long ago England? To Follow a Dream is a fictional account of some families who may have taken that long, arduous and often dangerous journey many years ago. The characters in this book are all fictional and although the place names are correct for the year they travelled, the geographical layout of the towns and villages may have been changed. Jed Tremayne has long dreamed of another life away from the grinding poverty of the Cornish tin mine where he and his son Sam work. When he hears of the rolling green hills and lush farmland in Hampshire, he decides that this is where he wants to be. His wife Hannah and daughter Lizzie are horrified at leaving the only life they have ever known. Meanwhile his friend Tom Stratton also wishes to leave Camborne, but for very different reasons. His wife, Martha is willing to try anything to improve life for her son and daughter. And so on a sunny morning in May 1768 they all meet up, mainly as strangers, ready to set out on a long, dangerous and sometimes deadly journey. How will this upheaval affect them? Will they even survive to see Jed's chosen destination? 'We're going, and that's the end of the matter,' Jed Tremayne said firmly, but his heart missed a beat at the look of horror on his wife's face. He hated doing this to Hannah, but life in the tin mines was intolerable for both him and their son. He had vivid childhood memories of his father, and grandfather before him, suffering from the lung disease so prevalent in the mines. Painfully and slowly their lives had drained away, both dying at an early age. His father had been barely forty when he died, and now as he neared that age himself, Jed knew he must make the break or suffer the consequences. Through tear-misted eyes, Hannah looked sorrowfully back at him. 'If you've had this dream for so long, why have you only just told me about it? I thought we had no secrets from each other. I thought we were happy and content here.' Hot tears filled her eyes and spilled over to fall unchecked down her cheeks; the sight tearing Jed in two. Doubt filled his mind for a moment; could he really drag his family halfway across England to Hampshire? Could they even survive such a journey? The roads would be rough, the weather probably inclement and most likely they would meet footpads along the way. And what if one of them fell ill? Jed rose to his feet and moved to the window to gaze with unseeing eyes at the lovely Cornish coastline. Was he doing the right thing? 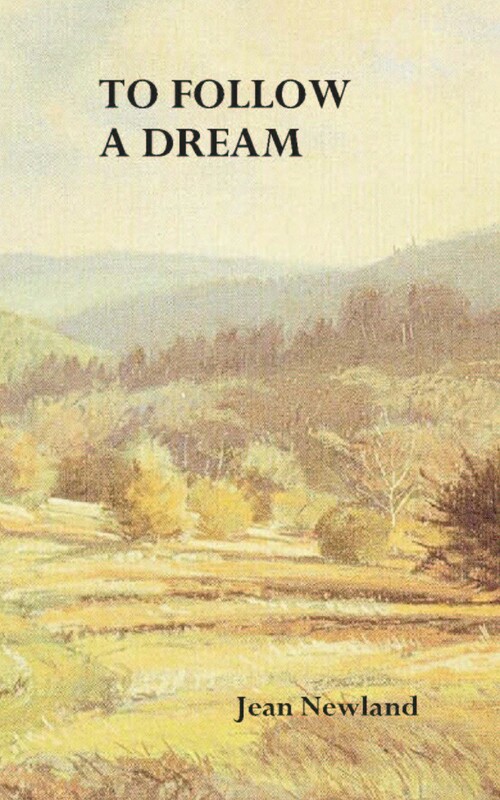 Then the vision of rolling green hills and lush farmland filled his mind; yes, they had to go. Somehow he had to persuade Hannah that it was best for all of them. 'Jed, how can you say that? You know how much I love this village, I've never wanted, or needed, to go anywhere else. My parents are here, my relatives, my friends.' Her eye caught the sparkle of sunlight on water as the sea swelled and rolled inward towards the shore. A gull alighted on a nearby rock and shook its wings before settling. The tiny village of Portrose had been her only home and she loved it all; its golden sands, the nearby rocky cliffs, the sea air and the salty winds that blew. Jed made no comment as she hurried away; fresh tears sliding down her cheeks. The trouble was; she knew he was right. 'No, dad he means it. As soon as he's saved a little more money, we'll be going.' Hannah choked on the lump in her throat. 'You didn't see his face,' Hannah said sadly. 'I think we may be going soon.' Without looking at either of her parents again, she ran from their home, along the dusty street and into her own, almost identical, cottage. She was relieved to find it empty, needing to be alone to sort out her jumbled thoughts. Why was her beloved Jed suddenly trying to change everything they held dear? What was urging him to such impossible dreams? Somehow it made him a stranger. Had she ever really known him? The spring tide was bringing seaweed in on the billowing waves and it lay in a long curving line along the sand. Screaming gulls foraged amongst it, snatching at odd scraps of decaying fish. Jed watched it all from where he sat on a large flat rock. He knew he had hurt his wife by springing this on her and doubts again crowded his mind. He didn't think Sam would need much persuading. Life expectancy in the mines was short; accidents were frequent, and all too often he'd noticed the boy's face drain of colour as he neared the top of the long ladder ready for his turn to clamber down into the depths of the dark, cold mine, and seen his knuckles whiten as he grasped the worn wood at the top of the shaft. No, he reckoned that Sam hated the mine as much as himself. Jed shuddered, remembering his own fears at Sam's age, and here he was twenty years later still doing the same job, day in day out. What sort of life was that? To live in fear every day. No, he and his son deserved better and if moving away gave them a better life, then that was what they must do. Lizzie was another matter though. She would probably rant at him and might even side with her mother for once. Jed sighed heavily. You never could tell with Lizzie. His heart beat faster and his belly turned over as he thought back to the day two years ago when his dream had been born. What a fateful day that had turned out to be. A simple trip into Redruth, that was all it had taken. It hadn't come to him in a flash he realised now, but seeped almost unnoticed into his subconscious. As he so often did on his day off, he'd walked the few miles into Redruth for supplies. The walk, as usual, had taken him along narrow country lanes, bordered here and there with the moors and fields. This was the part of the day he enjoyed most. The fresh air, the sunshine, birds winging from bush to bush and the sweet smell of heather; it never failed to please him. He sometimes daydreamed of walking for many miles further, but knew he could never leave the village where he had lived all his life, nor could he ever go without his lovely Hannah. No, he would never leave Cornwall. That was what he'd thought then. Although life was harsh, what with the grinding drudgery of working in the tin mine and the scant pay they got for doing it, he never sought to change it. Everyone he knew was in the same position, because most of the men living in Portrose were employed at Wheal Rose, the mine which sat on the rising cliff overlooking the village. Jed avoided looking at it now and took a deep breath of the sea air. Yes, they were all in the same boat, but now he had the chance to make a change. Something inside his head told him it was possible, something urged him on and he knew he could trace it back to that day in Redruth, and his chance meeting with Mr John Wesley. Hannah turned from the large black pot sitting over the fire and disentangled herself. She tried to smile, but somehow her face felt as though set in stone. 'Mostly vegetables, I'm afraid, but at least they're fresh from Gramp's garden.' She sighed and glanced at her son. He was so much like her to look at. Fair haired, grey eyed, but whereas she was small of build, Sam was tall and strong. At eighteen, he had a fine body built up over the years spent digging in the mine, and she smiled then, thinking what a good catch he would be for some girl. If only he wasn't so shy, she thought, but as there were no young girls in Portrose, he rarely got to meet any and nearly died of embarrassment when he did. 'What are you smiling at, Ma?' he asked her. 'Oh, Ma.' Sam looked at his feet. He was bashful even with her. Just then Jed came in and the air instantly became charged. He didn't even look at his wife, and Hannah couldn't bring herself to look at him. Sam seemingly didn't notice anything amiss and sat at the table ready to have his meal served up to him. Just like a boy, Hannah thought, and kept her back ramrod straight as she doled out the meagre stew onto tin plates. Her insides were turning over again, she knew Jed would bring up the subject of the journey during the meal and dreaded hearing what Sam thought of the idea. They ate in silence, but just as she was about to collect the empty plates, Hannah felt Jed's restraining hand on her arm. She looked at him wondering what she would see in his eyes. Had he come to his senses? Had he changed his mind? No. She saw a hint of defiance there and knew that the time had come when he was going to tell Sam. 'Aw, Pa, it sounds wonderful.' He looked at them both and did a jig around the one small room that was their home. Sam stood perplexed, looking first at one parent then the other, as though suddenly realising the rift between them. 'I would like very much to go, Pa, but not if Ma doesn't want to.' He sat down again, his face full of confusion. 'Me? How have I upset him? It's you who have wrought this unrest to the family.' Hannah hurried toward the door. 'I'll go and find him; he must be confused and upset. How could you do this, Jed?' She let the door slam behind her, anger now taking over from the sorrow that had filled her earlier. A fury she had never known before propelled her as she ran towards the rocks where she could see her son sitting disconsolately. It was as though her whole world was crumbling about her. Hannah studied her son's profile as he stared out to sea. 'I know you hate the mine, Sam, but I feel now as though I've been living with strangers these past years.' She shook her head. 'I don't know what to think anymore.' She sighed and turned to walk back to the cottage, expecting Sam to call after her, but no call came and she trudged slowly across the hard-packed sand. The following day, as Hannah hurried along Portrose's one and only street towards the little general store, she saw a group of women standing in the middle of the road. Her heart sank when she saw that her mother was amongst them. It would mean everyone now knew about them leaving and she wasn't sure she could cope with a multitude of questions at the moment. They all turned at her approach and she saw her mother's smile widen. 'Mother, nothing is arranged yet. You shouldn't have told anyone yet.' Hannah felt her face colour with embarrassment. How could she speak so abruptly to her mother? But somehow her life was turning upside down and the feeling of being out of control kept washing over her. 'Well, no one told me it was a secret,' her mother said, huffily. 'It's family business, Mum. Jed won't be pleased to have his plans talked about by the whole village.' Hannah could feel the other women staring, but didn't care and, quaking to the core, she swept on by toward the shop with the knowledge that several pairs of eyes bored into her back. To ignore so rudely women she had known all her life, upset her so much that when the shopkeeper asked her when they were going. And how? And how long would it take? It was the last straw. Forgetting what she'd gone for, Hannah ran blindly from the shop, along the sand-blown road and into the safety of her own home. Once inside, with the door closed securely behind her, she cried bitterly for the quiet, happy life she had always known; a life which now seemed to have disappeared for ever. Jean Newland was born in Four Marks and has lived all her life in Hampshire. Since discovering her close family connection with the legendary 'Trumpeter' of Selborne she has researched the family from the early days in Selborne to the years spent in Bentley, where her father was born in 1901.